We recently used machine learning techniques to build polygenic predictors for a number of complex traits. 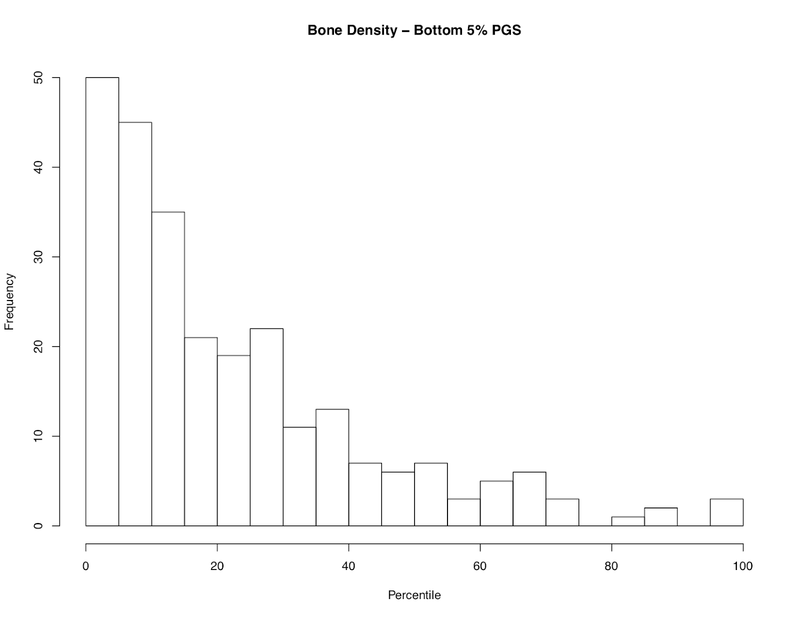 One of these traits is bone density, for which the predictor correlates r ≈ 0.45 with actual bone density. This is far from perfect, but good enough to identify outliers, as illustrated above. 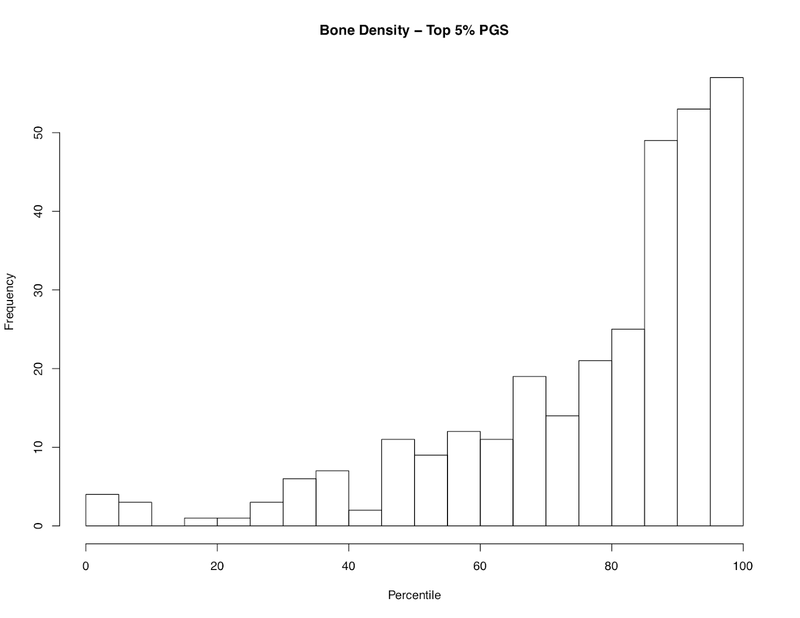 The figures above show the actual bone density distribution of individuals who are in the top or bottom 5 percent for predictor score. 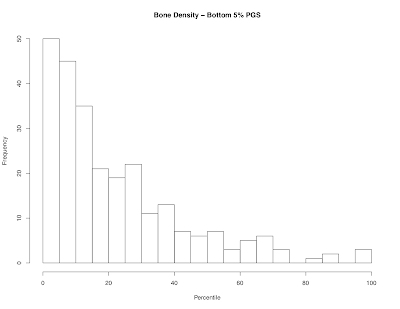 You can see that people with low/high scores are overwhelmingly likely to be below/above average on the phenotype, with a good chance of being in the extreme left/right tail of the distribution. 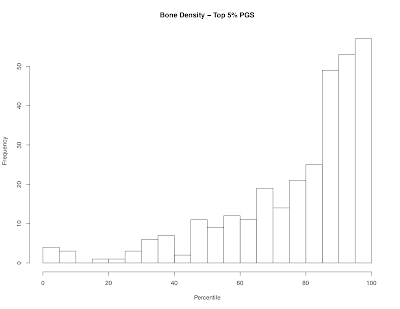 If, for example, very low bone density elevates likelihood of osteoporosis or fragile bones, then individuals with low polygenic score would have increased risk for those medical conditions and should receive extra care and additional monitoring as they age. Similarly, if one had a cognitive ability predictor with r ≈ 0.45, the polygenic score would allow the identification of individuals likely to be well below or above average in ability.